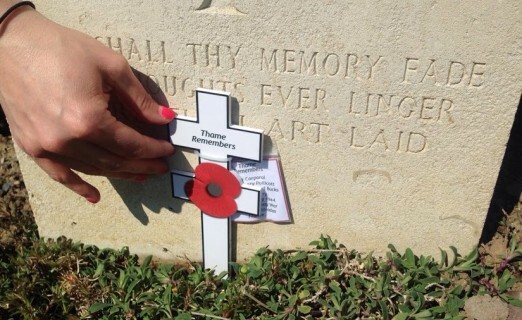 The first crosses were laid at the graves in St Mary’s Churchyard in Thame on 3 August 2014 (see newsletter no.1, August 2014 for full report). Many further crosses have already been delivered as far afield as New Zealand, Tanzania, and Singapore, and reports on each of these can be viewed and downloaded under the Delivery Reports section of the website. A battlefield tour to the Western Front will be made over the weekend of 29 October – 1 November 2015, which will visit Ypres, Arras, Vimy Ridge, the Somme, Menin Gate and Thiepval and a number of crosses will be delivered to graves. In other areas it will all depend on the initiative and support of the people of Thame but our target is to complete the challenge by November 2018, the centenary of the Armistice ending the First World War.